Tablet PCs are mobile computers that offer circuitry, battery, and touch screen displays within a singular, centralized device. They are equipped with such convenient features as: sensors for touchscreen accessibility, ports for battery charging and network connection, and physical buttons for basic features like power and sound control. They offer users many common features of a computer with the accessibility and ease of use made available by mobile devices. Touchscreen hardware is typically offered in two forms: capacitive and resistive. Capacitive touchscreens tend to be the less accurate of the two, but the more responsive touchscreen offering. They require conductive materials, such as finger tips, for input and are predominantly used on consumer-geared devices. Capacitive touchscreens do not presently support pressure input. Resistive touchscreens are responsive to on-screen pressure. They offer a high level of precision, helpful for imitating a pointer. Due to their high resolution, a fingernail or stylus is ideal for use with resistive touchscreens. Additionally, these touchscreens often require calibration. 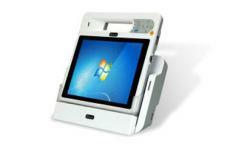 At ICP America, we offer a variety of touchscreens, available to suit a wide range of professional needs. Our ICELOG Mobile Elite Manager has been manufactured with wireless 3G features, and offers both Bluetooth and GPS capabilities. Our ICEFIRE2 Mobile Clinic Assistant provides wireless technologies and advanced data acquisition, offering the healthcare industry the ability to provide real time, point-of-care treatment. Our mobile automotive products offer consumers a range of services, including GPS navigation, tracking, data collection, On-Board Diagnostics (OBD), and many more. The iKARPC-Lite is an android-based, In-Vehical Infotainment (IVI) system that provides consumers with networked computing, GPS navigation, entertainment, diagnostic, and tracking functions for buses, trucks, and cars. Our VTT-1000 is ideal for management applications and fleet tracking, as it offers built-in GRPS/GSM with antenna and a GPS receiver. The AVL-3000, specifically manufactured for asset monitoring applications and advanced vehicle tracking, offers advanced features such as video capture support, GPS, and wireless connectivity. Additional mobile automotive products offered by ICP America include the AVL-2000PLUS and the IVS-100-BT. At ICP America, we also offer industrial personal digital assistants, or PDAs, available with electronic visual displays, as well as advanced audio and touchscreen capabilities. Our MODAT-200 provides built-in Wi-Fi and Bluetooth technology, and is manufactured to appear sleek and professional for use in the hospitality industry. The MODAT-328 is lightweight and features advanced data capture technologies, and is ideal for use with management applications. 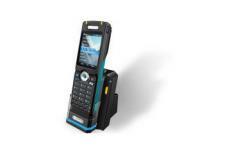 Additional industrial PDAs include the MODAT-100 and MODAT-335. ICP America has maintained its status as one of America’s premiere computer innovative designers for over 25 years. We provide our customers with the computer solutions they need to make simple modifications to standard products. Because of their advanced features, ease of use, and high speed technology, our tablet PCs, automotive products, and industrial PDAs are able to offer consumers the features and results they need for success.